The story of William Burke and William Hare, two Irish men living in Edinburgh in 1827, who spied an opportunity to make money through murder. Now known as simply the Burke and Hare murders or The West Port Murders, this is dark history that took advantage of a very unique and grisly opportunity. Burke & Hare (IMDB) – Not exactly factual, but a darkly funny film with Simon Pegg playing William Burke. What’s not to like? This is actually a pretty good introduction to the murders, despite obviously needing to be taken tongue in cheek. During the early 1800s, medical education was taking great strides in anatomy. Edinburgh was a central influence on the teaching of anatomy to enhance surgical understanding, however, in order to best teach anatomical knowledge, it was essential for lecturers to procure Cadavers, dead bodies that they could dissect during practical lectures. The demand was far outstripping supply. Enter two men, William Burke and William Hare. This is Dark Histories, where the facts are worse than fiction. In the early 19th Century, Edinburgh was a leading city in the charge to bring Anatomy to the world as a proper science. Alexander Monro, John Bell, John Goodsir and Robert Knox were surgeons that all taught in Edinburgh, all of whom were central to the development of the science around the globe. Due to the nature of the lectures, human bodies were needed for dissections and demonstrations, however, Scottish law stated that only bodies of prisoners, suicide victims and Orphans could be used for such a purpose. This, naturally, led to something of a shortage and some took advantage of this by robbing graves and selling the bodies, which were fetching a price as high as £10, several months wages for a skilled workman. Grave robbing could be seen as a lucrative business for the enterprising individual, who was willing to turn bend the law. The legal parameters of the time stated that disturbing a grave and taking belongings from the deceased was punishable by law, however, taking the body itself was not an offence, as it did not technically belong to anyone. By the 1820s, Grave-robbing had become so widespread that citizens held a protest in the streets of Edinburgh. To deter grave-robbers, people could hire slabs of stone to place on top of a grave for a period of time allowing the body to decompose, making it useless as an anatomical subject, and therefore worthless to the grave-robbers. Watchtowers were built in cemeteries, manned by guards, Iron bars were installed over graves. The wealthiest could even hire private guards to sit and watch over a specific grave. William Burke was born in 1792, in County Tyrone, Ireland. He had a comfortable upbringing and a good education. He joined the army as a teenager, later marrying a fellow Irish woman. He attempted to settle down, however, after a family argument pertaining to land ownership in 1818, he fled from his wife and moved to Scotland, where he remarried a prostitute named Helen McDougal. By 1827, they were settled in Edinburgh and Burke was working as a Cobbler earning a decent living. William Hare was born in Ireland around the turn of the century. Little is known about his early life, however, he is thought to have been illiterate, suggesting a poor background. He wound up moving to Edinburgh in the mid-1820s and worked as a coal man’s assistant. He lodged in the house of a married couple and begun having an affair with the wife, Margaret Logue. Upon detection of the affair, he was thrown out by the husband, however, he died soon after, whereby Hare swiftly moved back in and he and Margaret ran the lodging house as husband and wife. In 1827, Hare went to Midlothian to work on the harvest, where he met Burke. The two men promptly became friends, likely due to their shared Irish backgrounds. After returning to Edinborough, they remained close, earning a reputation around the area for heavy drinking and loud behaviour. On the 29th Of November, 1827, one of Hares tenants, an old army pensioner who went by the name of ‘Old Donald’ died of dropsy. Unfortunately for Hare, the man owed £4 in back rent and upon mentioning this to Burke, the pair came up with the plan to sell his body to recoup Hares financial loss. After Old Donald’s body was laid into his coffin, Burke and Hare removed it, hid it under the bed and filled the coffin with wood bark. They resealed the body and it was later collected and buried, with no one any the wiser. Burke and Hare then took the body to Edinburgh University, where a student directed them to speak with Surgeon Robert Knox. Robert Knox was an army physician, serving in the Battle of Waterloo in 1815 and during the Cape Front War in South Africa. After his military career, he settled in Edinburgh, became a member of the Royal College of Surgeons of Edinburgh and begun teaching anatomy lectures, twice a day, advertising a full demonstration on fresh anatomical subjects for each lecture. In January of 1828, Burke saw a fresh opportunity presented to him by another lodger in his house. This tenant, named Joseph had become ill and so Burke and Hare, sensing another quick profit, saw fit to help him along a little. They fed Joseph whiskey and then whilst Burke laid across his chest, Hare suffocated Joseph with a pillow. This left the body in good condition for the anatomists and they promptly delivered Josephs body to Robert Knox, who paid them £10 for the corpse. What followed was a flurry of murders as the two men sensed there was good money to be made in the business of killing. In February of 1828, Burke and Hare met Abigail Simpson walking the streets late at night, she was an old pensioner who came to Edinburgh to sell salt. She was drunk and the pair invited her to stay at Hares house, where they gave her more alcohol and then promptly suffocated her. They put her body in an old tea chest and sold it to Robert Knox for £10. An English travelling salesman of matches and tinder was next, he was lodging at Hares house when he fell ill with Jaundice and so, he simply had to go. He too was suffocated and his body sold to Knox for £10. With their new found wealth, Burke and Hare spent with abandon and their opulence was becoming a talking point. They explained away any rumours by telling people they had inherited money, which people seemed to accept. However, with their increased spending, they had to increase their earnings. 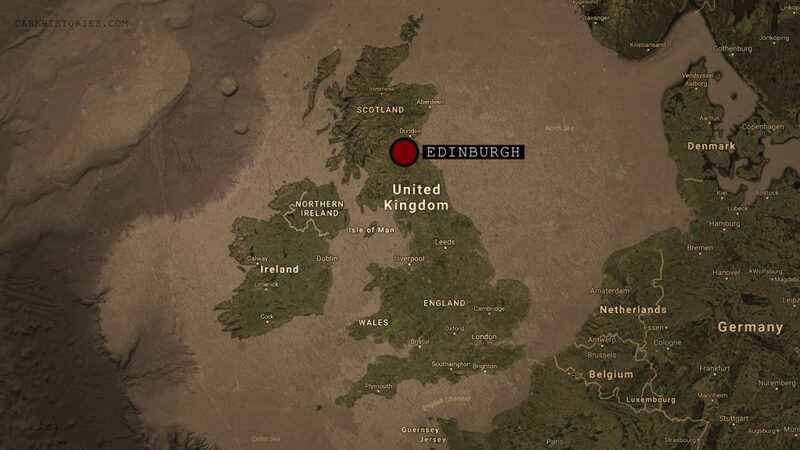 In April, Burke met two women, Mary Paterson and Janet Brown, prostitutes from the Canongate area of Edinborough. He took them home and drank whiskey with them, Mary Patterson fell asleep and McDougal, seeing Janet Brown talking with Burke, accused him of having an affair. An argument ensued and Janet brown left the house. Burke and Hare smothered Mary Paterson in her sleep and upon Janets return to collect her friend, was told that she had already left for Glasgow with a travelling Salesman. The pair took Mary’s body to Knox and sold it for £8. One of Knox’s assistants, however, thought he recognised the woman, probably having been a client of hers in the past and inquired how the men had come across the body. Burke explained this away, saying that she had drunk herself to death and they had purchased her body from “an old woman in Canongate”. This was apparently enough to satisfy the surgeons. Throughout May, Burke and hare killed Mrs Haldane, another lodger. She had become drunk and fallen asleep in the stable. She was suffocated and sold to Knox, as was her daughter, who later, after drinking with Burke, fell asleep and was suffocated, fetching £8 from Knox. Shortly after, an unnamed old woman, another lodger, another drinking party with Burke, became another suffocation and £10 earnt. Effie, a beggar-woman who scavenged from bins and tips and in the past had sold scraps of leather to Burke was coaxed into the house with Whiskey, where she was quickly dispatched and sold. Burke and Hare were becoming confident in their business, and when they met with a drunk woman who was being helped home by a police officer, Burke offered to take her home. The officer thankfully passed her over to the care of the men, who instead took them to Burkes house, killed her and sold her to Knox for a further £10. In June, Burke and Hare killed two lodgers, an old woman and her grandson. The trusty tea chest that they had used to transport the bodies to Knox was not big enough to accommodate both bodies, and so they stuffed them inside a barrel, called a porter and had him help them to transport it to Knox, who bought both bodies for £8 each. At the end of June, the pair took a well deserved holiday. Burke and his wife McDougal travelled to Falkirk to visit family. Hare, was short on cash, however, upon their returning, Burke noticed that he had new clothes. He suspected Hare had been working alone and confirmed as such with Knox, who told Burke that Hare had sold a body for £8. This led to a rift in the partnership, however by September, Mrs Ostler, a washerwoman, visited Hares house to do laundry. The pair got her drunk on Whiskey and suffocated her, selling her body to Knox for £10. Their previous falling out was now water under the bridge, and in October, the pair killed a local, mentally disabled beggar, James Wilson. He was well known in the area as “Daft Jamie” and had club feet and a facial disfigurement. They kept his snuff-box and snuff spoon and sold the body to Knox. However, being well known and having unique disfigurements, many of the assistants thought they knew of the boy. Knox denied the boys identity as daft Jamie and promptly removed his head and feet prior to the dissection. On the 31st of October, Burke lured an old Irish woman named Margaret Docherty into the lodging house by telling her that his mother was also a Docherty from the same area of Ireland. Burke, Hare and their wives got drunk with the woman and paid two of the other lodgers, Ann and James Gray, to sleep elsewhere for the night, on the pretence that they would be drinking until late and they didn’t want to inconvenience them. They Murdered Margaret Docherty and left her body in a pile of hay at the end of the bed. The Grays returned early the next morning and became suspicious when the men would not allow Ann to look for her clothing around the room that Margaret Docherty’s body now lay. Later that evening, when they were left alone, the Grays searched the hay and found Margaret’s body and rushed out to tell the police. Burkes wife, McDougal met them en-route to the police station and offered them £10 a week for their silence, however they refused and made their report. Meanwhile, Burke and Hare took the body to Knox and sold it for a final £10. The next day, the police visited Knox, identified the body of Margaret and promptly arrested Burke, Hare and both of their wives. Upon searching the homes of Burke and Hare, items of clothing of victims were found as were the snuff-box and snuff spoon of Jamie Wilson. Due to lack of bodies or evidence, however, many of the murders had little to no evidence on which to convict the men. Hare was promised Immunity if he confessed to the murders, which would also include his wife’s safety from prosecution. He gave a full confession, implicating Both him and Burke in the murder of Mary Docherty, Mary Patterson and James Wilson. On Christmas day of 1828, Burke was found Guilty as charged, with the penalty being the sentence of death by hanging. Helen Mcdougal was given a verdict of not proven, so avoided any prosecution. Helen McDougal was released from jail on the 26th December 1828. She was driven from Edinburgh by a ravenous public, however, and she made sail to Australia, where she died in a house fire in 1868. Margaret Hare, despite having immunity from prosecution was held in Jail for her safety. She was released on 19th January 1829, where she fled to Ireland and was not seen from again. William Burke was hanged on the 28th January 1829. His body was taken to Edinburgh University, where it was dissected as part of an anatomy lecture. Later, his skeleton was preserved and put on display, where it remains to this very day. William Hare was released from prison on the 5th February 1829. He fled to London, where he was rumoured to live as a beggar on the streets until his death, though there were reliable sightings that placed him in Carlisle, alive and well. Dr Robert Knox was not charged nor prosecuted for his part in the murders, he was cleared of any complicity during an inquiry, which agreed that he had no knowledge of murder whilst procuring the subjects for his lectures. Public opinion was against him, however, and so eventually was professional. He became shunned by his peers and eventually, moved to London, where he held a medical practice in Hackney until his death in 1862.